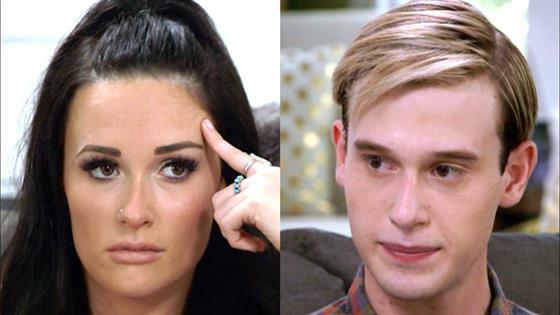 Tyler Henry was able to give Kacey Musgraves some clarity about her grandmother's death. On Wednesday's episode of Hollywood Medium, Kacey met with Tyler and she told him she'd like to know how her grandmother passed away. She explained that her grandma had a house fire, but was able to call 911. However, Kacey's grandma never made it out of the house, which was a mystery to her family. During the reading, before the house fire was mentioned, Tyler had brought up an instance where an individual fell. "There is an instance of an individual who sustained a fall or like I'm falling, I don't know if I fall down the stairs or I injure myself," Tyler told Kacey. "But it's a reference to a physical incident that then contributes to a further decline." Then while talking about the house fire, Tyler connected the falling incident to Kacey's grandmother. 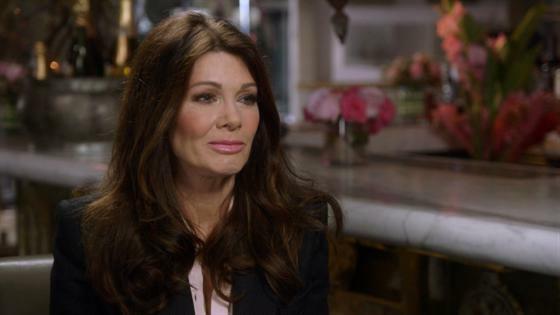 Lisa Vanderpump Gets Emotional on "Hollywood Medium"
"She just gave me the vision of the reference to the fall," Tyler said. "The thing I mentioned earlier about someone falling or tripping and then this acting as a catalyst for someone's passing. She literally just threw that out at me just now." Kacey then asked Tyler, "As herself?" Tyler told her that's right, "So what this could be trying to convey is that there could've been a fall or a trip or something that would've hindered one physically to not actually be able to get out of this." He continued, "There's definitely distinctly a feeling of like I physically feel like I can't get out of here." After the reading, Kacey said that the discoveries were "shocking." "As we kept going, more and more started to kind of reveal itself," Kacey explained. "And that's not something you can just guess at or throw out. You know, it was a very shocking thing." Watch the Hollywood Medium recap to see Tyler talk to Kacey about her grandma's passing! Plus see what happened when Tyler connected Allison Janney to her late brother, Portia De Rossi to her late dad and Lisa Vanderpump to her late grandmother!